The A$5,000 H. W. Arndt Prize, named in honour of the founding editor of the Bulletin of Indonesian Economic Studies (BIES), is awarded each calendar year to the BIES article that best advances the understanding of Indonesia’s economy and society.The competition is open to all authors of original research articles in economics, political economy, and related fields. Articles with joint authorship are eligible for consideration, but prizemoney is awarded to the corresponding author only. In such cases, the authors themselves are responsible for distributing prizemoney. Commissioned articles—such as those in the regular Survey of Recent Developments series—are not eligible for consideration, nor are articles by members of the journal’s editorial team, editorial board, or international advisory board. The H. W. Arndt Prize was first awarded in 2001, when only Indonesian citizens were eligible. The prize is now open to all nationalities. The prize is adjudicated by the editors and a panel of randomly selected BIES board members. The ANU Indonesia Project retains the right not to award the prize in any year if no entry is considered to be of sufficiently high quality. 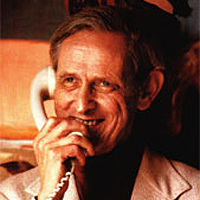 Heinz W. Arndt (1915–2002) was one of Australia’s most distinguished scholars of Indonesia’s economy. In 1965, he established the ANU Indonesia Project and an accompanying journal, BIES, in response to profound changes in the country’s economic and political landscape. The Project and BIES have since helped build greater understanding between Indonesia and Australia and fostered important relations between Indonesian and Australian academics, students, and policymakers. The prize will be announced online and in the first issue of the journal each year. The next winner will be chosen from articles published in BIES in 2018 and will be announced in early 2019. For more information, contact the editors: bies@anu.edu.au.